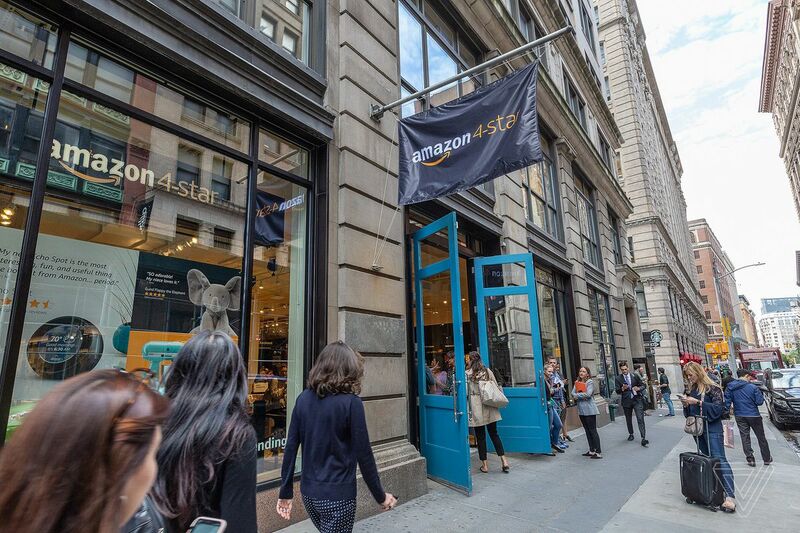 Yesterday Amazon opened up another retail location in New York City. But this one, the company’s third in Manhattan, is different than the standard Amazon Books store. 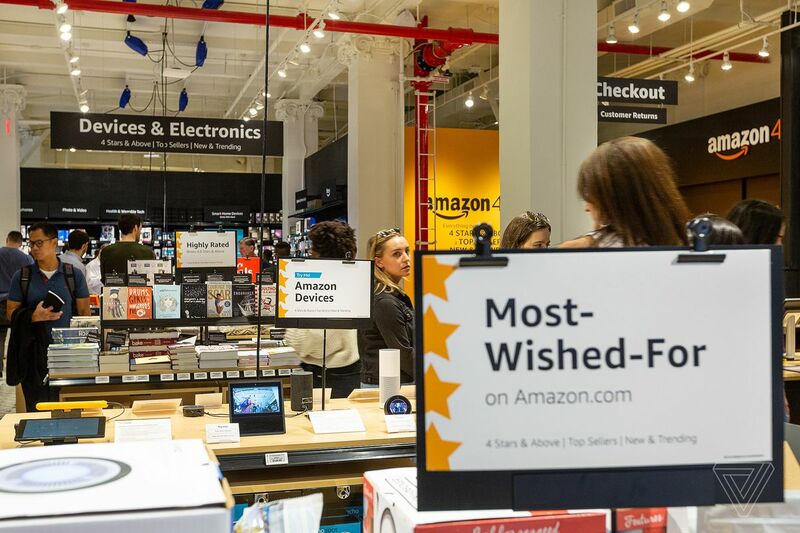 It’s called Amazon 4-star, and the name gives away the store’s premise: Amazon 4-star stocks items that have an average customer review rating of four stars and above. There are also sections for new / trending and top sellers, where featured products don’t necessarily have to meet the four-star bar. 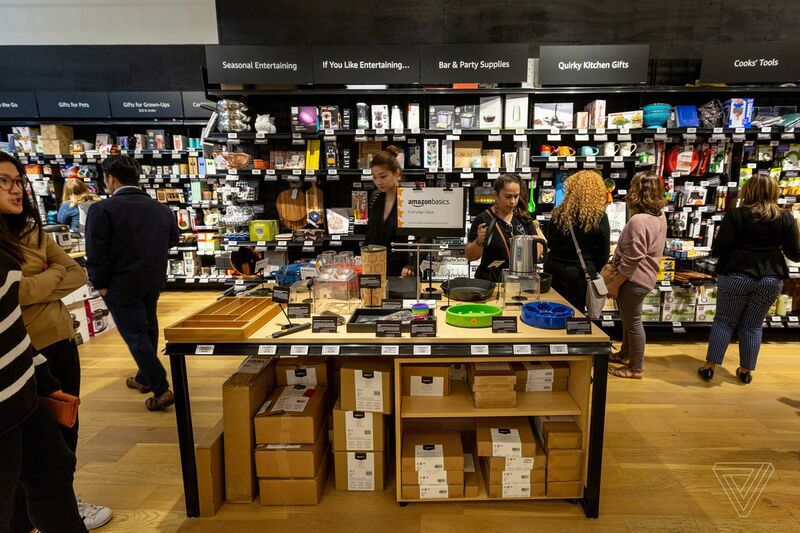 The store’s selection will be changed out and refreshed on a frequent basis — in some cases weekly, according to one employee I spoke to — but there are mainstays (like Amazon’s own hardware products) that will obviously be a permanent staple of the store. In total, Amazon 4-star stocks around 2,000 items on its shelves and tables. All of them have been curated and picked by Amazon — thus cutting out any companies that game the reviews system — and there are few surprises when it comes to the brands you’ll see. The kitchen section stocks a ton of OXO Good Grips accessories, the Instant Pot, a Takeya cold brew maker, Keurigs, and so on. Plus a ton of AmazonBasics kitchenware, as you’d expect. You’ll see very few random or unknown companies on these shelves and a lot of those you might be familiar with from Wirecutter. Beside some items you’ll find a small card with a quote from an Amazon customer review. But there are also many items (like a dog DNA testing kit) that don’t belong to any of those sections and are placed on a more general “gifts” wall. If you’ve ever stressed about what to buy for a two-year-old in your life, Amazon takes out the guesswork with different gift sections based on a baby or toddler’s age. I also noticed a dedicated area for Amazon LaunchPad that includes products from startups, like a gadget meant to help improve your posture. But it’s very clear that there’s some paid placement involved here. Take, for example, the giant Roomba installation that eats up a fair amount of floor space. You’re telling me iRobot isn’t paying a hefty sum for that exposure? 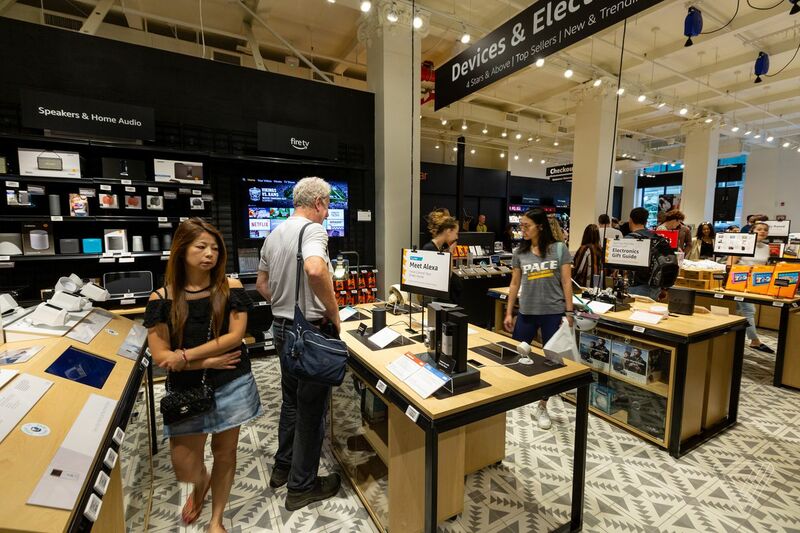 Unsurprisingly, Amazon’s own devices and Alexa are a huge focus at the store. The Echos and Fire tablets get their own showcase tables. Same for Ring’s doorbells and video cameras. 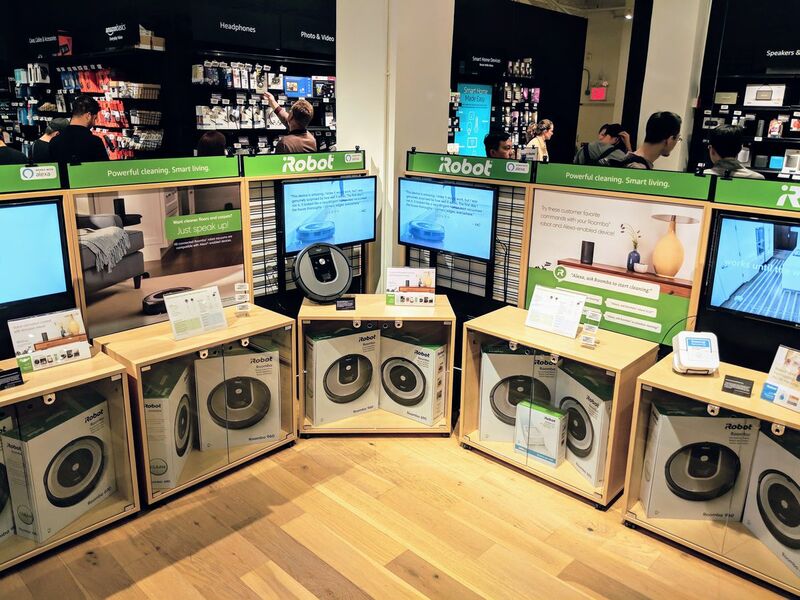 And there’s a small army of third-party speakers from Sonos, Bose, and Ultimate Ears, plus a bunch of Alexa-compatible gadgets like headphones, Philips Hue lights, Echobee thermostats, and Huawei Honor V10 and 7X smartphones. (Those are the only phones sold at the store right now, but I could definitely see Amazon rotating in other Prime Exclusive handsets.) You’re not going to find a better space for trying this stuff out, seeing as they rarely work as well at your local Best Buy or Target. Not counting Beats headphones, the only Apple-branded product I found in all of 4-star was the Magic Mouse, which was included on the “Top Selling in NYC” display table beside a Black & Decker vacuum, small bottles of Gorilla Glue, copies of the Crazy Rich Asians book, and a kitchen scale.